The friend who dropped Shanann Watts at home just before the pregnant mother disappeared with her two young daughters has spoken out, revealing that she was suspicious of Chris Watts’s response to the news that his family had gone missing. Nicole Atkinson appeared on Good Morning America on Monday, revealing that she may have been one of the very last people to see Shanann Watts alive when she dropped her off at her Frederick, Colorado, home after the two returned from a business trip on a delayed flight. Atkinson became concerned later that day when she couldn’t reach Shanann, who had reportedly missed a doctor’s appointment that day to hear her unborn baby’s heartbeat for the first time. Concerned about her friend, Atkinson came back to the home to look for Shanann and called the police to report her missing when she didn’t find her there. The friend said in the GMA interview that she became suspicious of Chris Watts after talking to him about where Shanann and her girls, Bella and Celeste, could be. “He just kept saying that he didn’t know where she was and that she was on a playdate,” Atkinson said on the morning talk show. Atkinson also revealed that Shanann had expressed concerns that her husband might be cheating, claiming that his normally affectionate demeanor had changed. “He wasn’t being the loving Chris that he normally was. He wasn’t touching or hugging or doing stuff like that,” Atkinson said. Watts was arrested on Wednesday and reportedly confessed to the triple murders. Investigators found the remains of Shanann and her two daughters at the petroleum company where Chris Watts was employed until last week. Shanann’s body was reportedly found in the shallow grave, while the girls’ were placed in oil tanks on the same property. Authorities have not revealed the cause of death or any information about a possible motive. 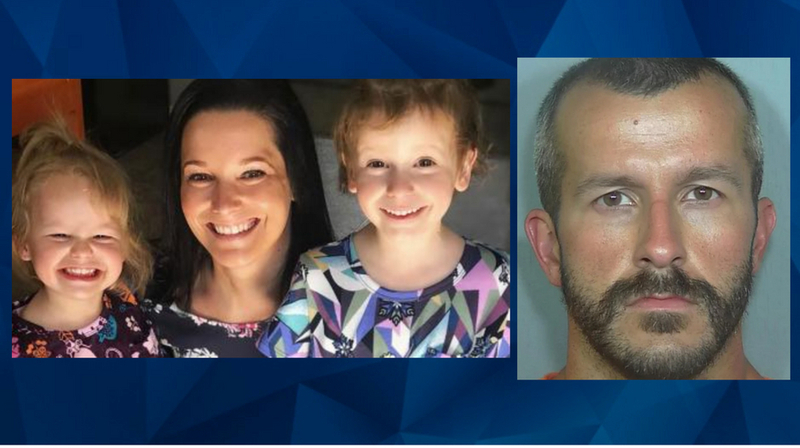 Chris Watts is expected to be formally charged with murder on Monday.